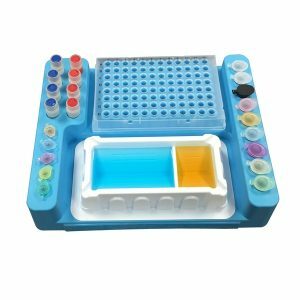 SMOBio Tri-color prestained protein ladder prestained protein marker for Western Blotting and Sodium Dodecyl Sulfate PolyAcrylamide Gel Electrophoresis (SDS-PAGE). Green BioResearch provides two types of tri-color prestained protein ladder prestained protein marker for your daily Western Blotting and SDS-PAGE applications. 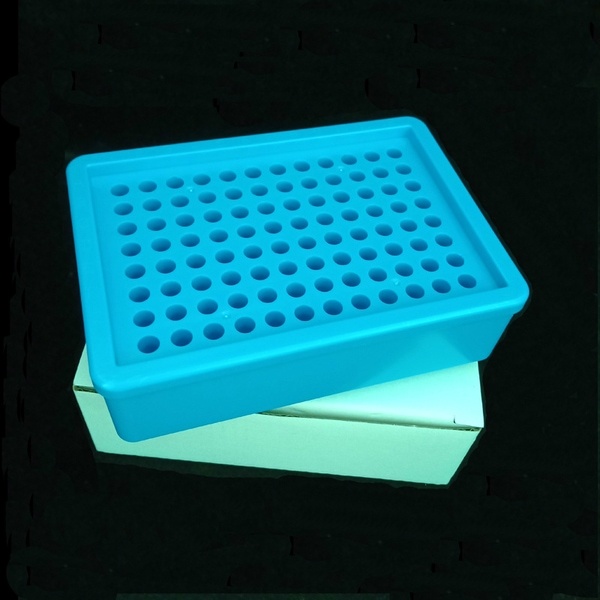 SMOBio PM2500 prestained protein ladder, prestained protein marker has protein range from 10 to 180 kDa on Tris-Glycine buffered SDS PAGE (9 ~ 170 kDa in Bis-Tris (MOPS). This tri-color prestained protein ladder tri color prestained protein marker has 10 protein bands, 10, 15, 25, 35, 45, 60, 75, 100, 140 and 180 kDa. The 25 kDa stained with green color, and 75 kDa protein stained with red color for easy protein size recognition. The rest bands are blue colored. 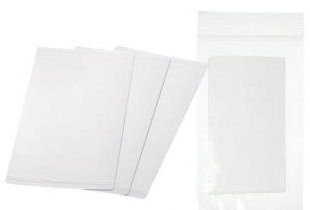 $80/pack, we offer free ground shipping on orders $200 and up. PM001-0500 from GeneDirex has a broader protein range from 6.5 to 270 kDa on Tris-Glycine buffered SDS PAGE. This tri-color prestained protein marker ladder also has 10 bands, from 6.5, 16, 30, 37, 52, 66, 95, 130, 175 and 270 kDa. The 30 kDa protein is stained with red color dye, and 52 kDa band is stained with green color, and 270 kDa protein stained with red color for easy protein size recognition. $85/pack, we offer free ground shipping on orders $200 and up. Are you still using prestained protein ladder Invitrogen, prestained protein ladder NEB, protein ladder NEB, prestained protein ladder 26616, prestained protein ladder 26619, prestained protein ladder Bio Rad, pageruler plus prestained protein ladder, protein ladder fermentas, prestained protein ladder broad range NEB, prestained protein ladder Sigma, and prestained protein marker Biorad, Novex Sharp Pre-Stained Protein Standard? They normally charge you shipment around $38 up to $60. Our shipment charge is only $6.5. Plus if your total order is over $200, we will offer free shipping. You even don’t have to pay the $6.5. We offer priority package shipments to all US customers including those from Alaska, Hawaii, Puerto Rico, the Virgin Islands. Please check our other top sellers, ultra pure quick dissolve high resolution agarose powder, thermostable DNA ladder 100 bp, DNA ladder 1Kb plus, thermostable least expensive 25mM dNTP Mix, Gel Extraction PCR Purification 2-in-1 Kit and Plasmid DNA Miniprep Kit which increase enzymatic digestion and gene cloning efficiency, and more. Buy your lab consumables from Green BioReserach and save over $10,000. 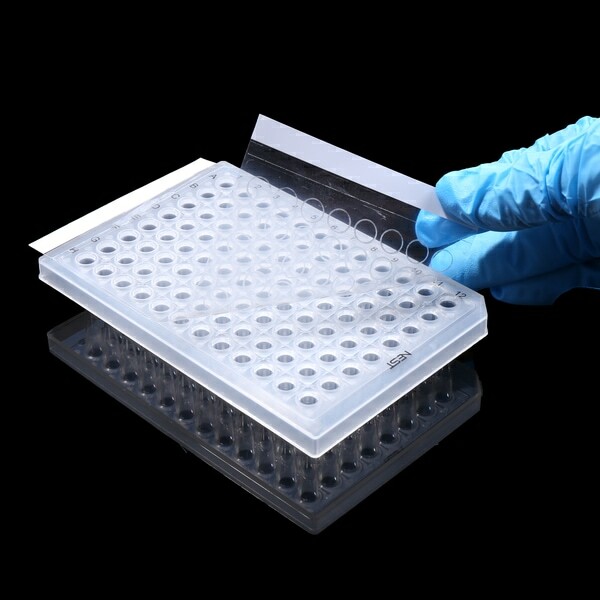 We also have DNA ladder marker for agarose gel electrophoresis, Greiner Bio One and Nest Biotechnology cell culture dishes, plates, flasks, serological pipettes, cyrovial, tissue grinder homogenizer. 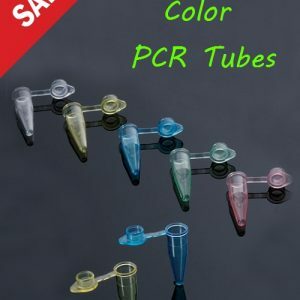 Please also check our boiling proof cap 0.5ml, 1.5m, 2ml micro centrifuge tubes, and DNA RNA isolation kits.